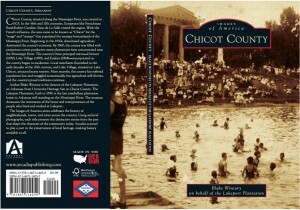 The Images of Chicot County book is now officially published. The book retails for $21.99 +tax and is available locally at Lakeport, Hunters Pharmacy, South Shore Cottages, Lake Village True Value Hardware, Dee’s Treasure Chest or any online retailer–Arcadia Publishing, Barnes & Noble, Amazon…The Washington County Economic Alliance will host a signing and Business After Hours at Lakeport on Thursday, September 3rd from 5 pm – 7 pm. To purchase a book, please bring cash for check for $24.